We already broke hearts to celebrate Valentine's Day but this time we're melting them! 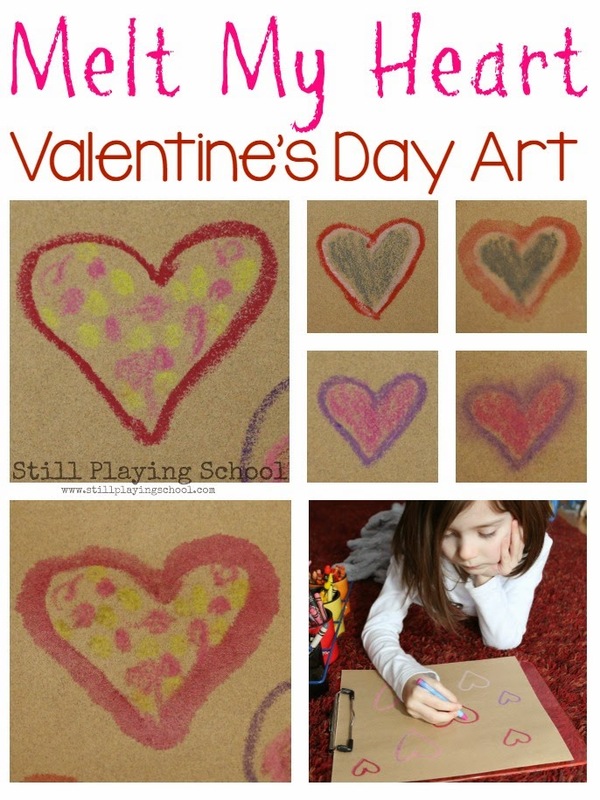 We used special paper and a heat tool to try melted crayon heart art. A snow day was the perfect chance to try Valentine's Day themed process art! I drew hearts on sandpaper. 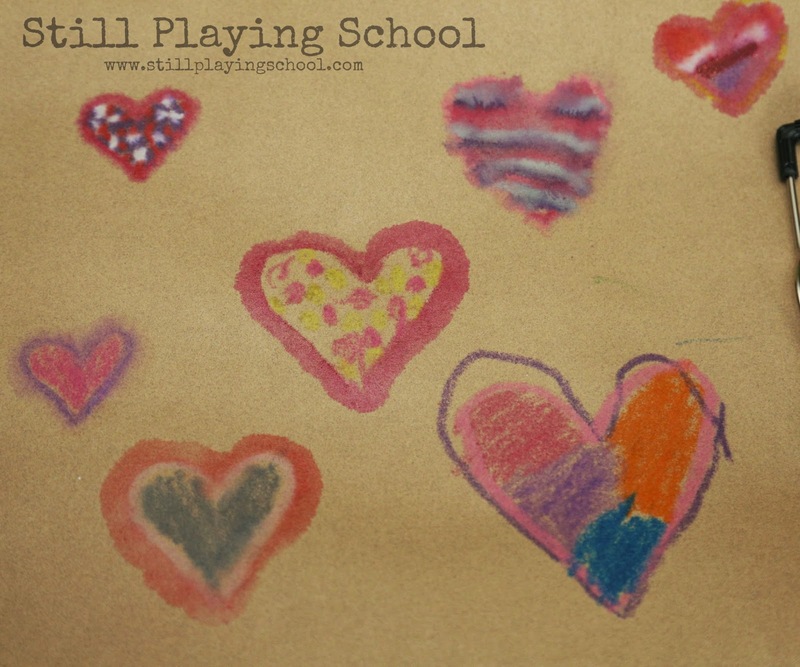 Our preschooler E colored in the hearts with different patterns and designs. 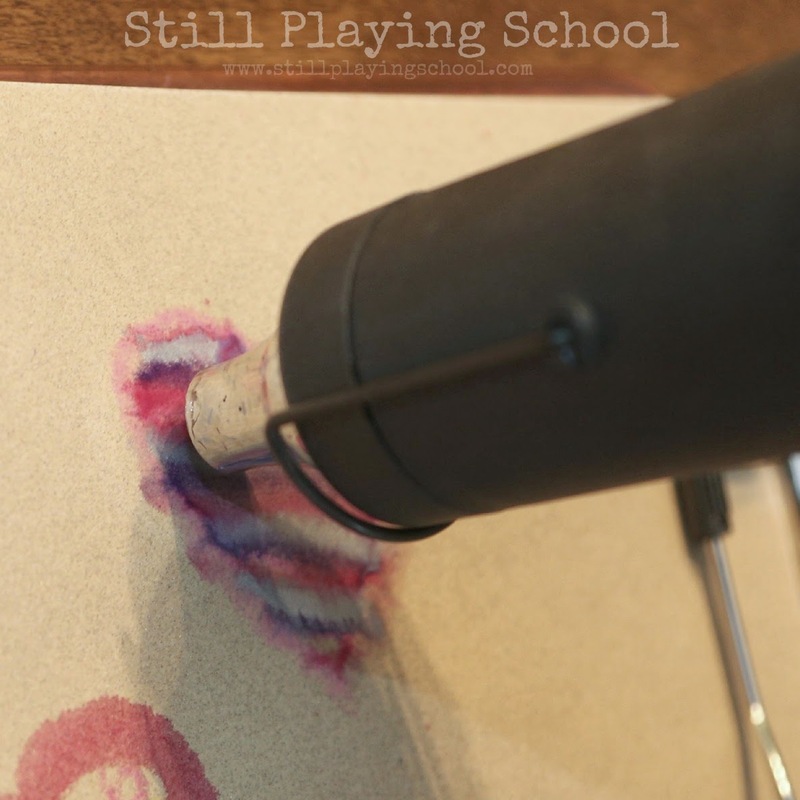 We used fine sandpaper because that's what we had on hand (and I wasn't about to go out in the snow to get more) but next time we'll try this on coarse sandpaper from the dollar store! What you shouldn't skimp on is the crayons. Vibrantly colored Crayolas melted so much bolder and brighter than the off brand ones. While E was working our toddler D took a break from playing with this Thomas trains to check out her art. He said, "Heart!" 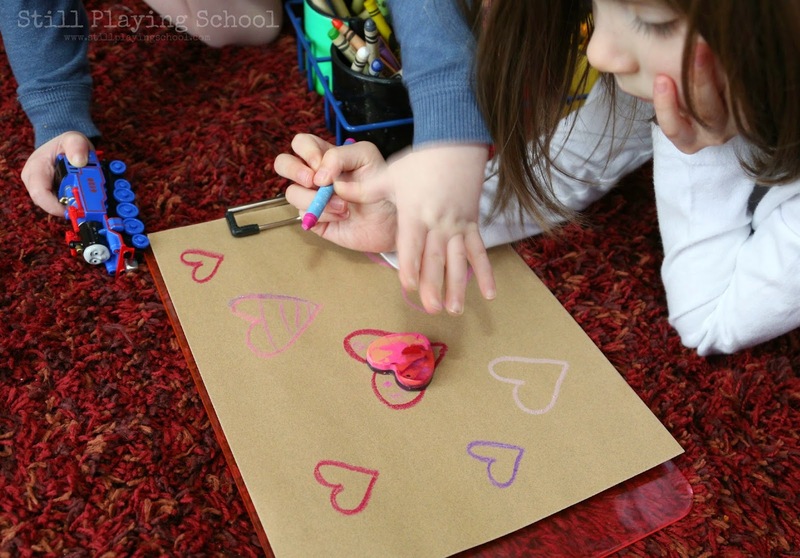 and threw a heart shaped crayon we made onto the paper! Great shape matching, D! 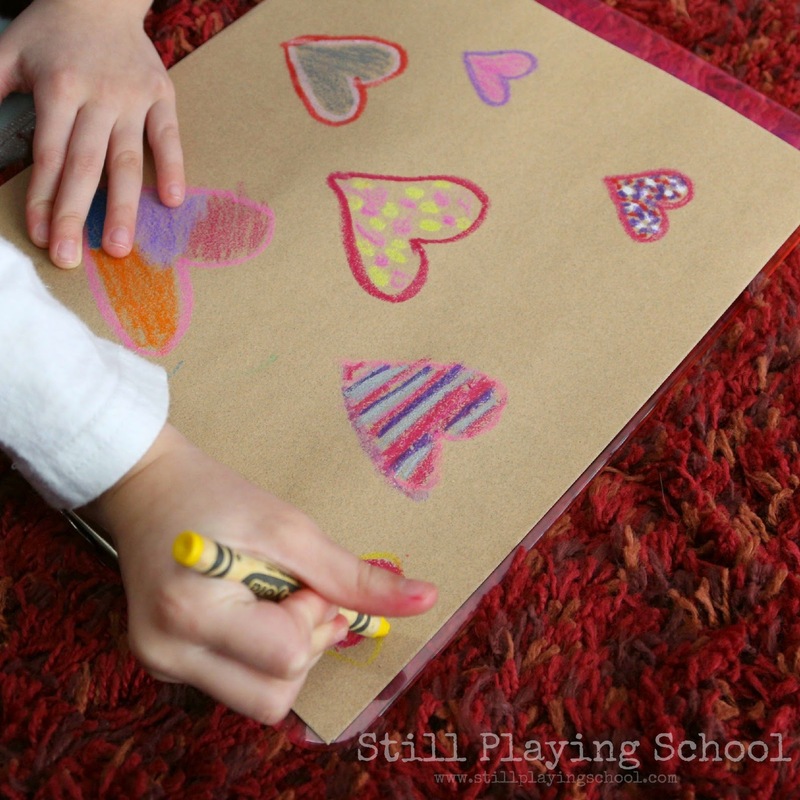 Once the hearts were all colored in with Valentine's Day colors we used our heat embosser to melt the crayon wax. You could also use a hair dryer. We loved the way the colors blended together on the paper! E loved the responsibility of holding the heat tool herself but it was a bit tricky to get a good photo of her working while I was supervising her for safety, too! Use caution and your best judgement. 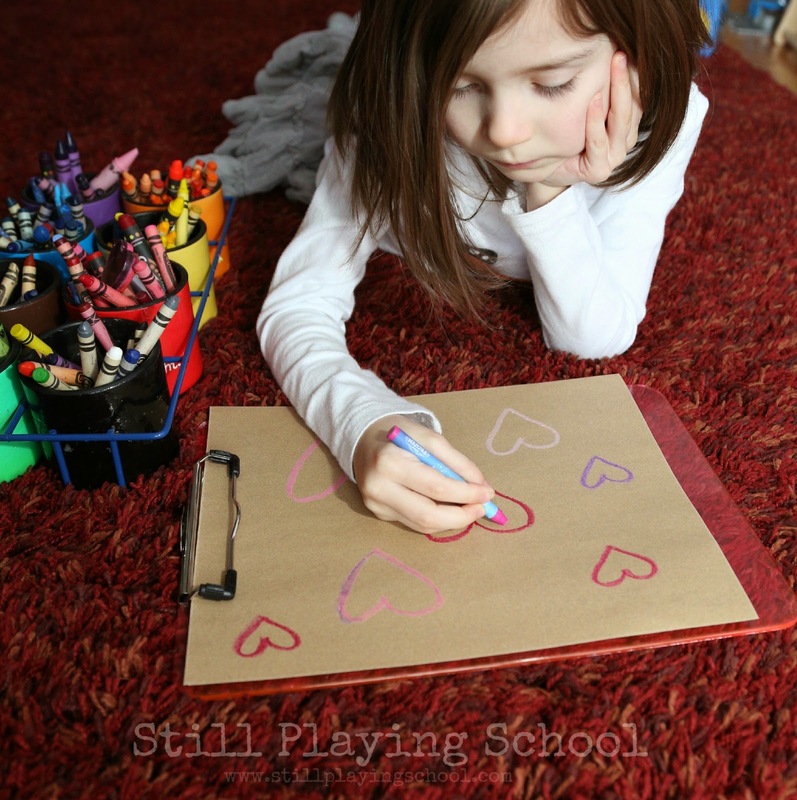 Littlest artists can color and watch an adult melt the hearts from a safe distance. These will be fun to cut out for Valentine's Day cards! The sandpaper will sharpen our scissors in the process, too! This post is part of our annual Show Me the Love Series with House of Burke and And Next Comes L! 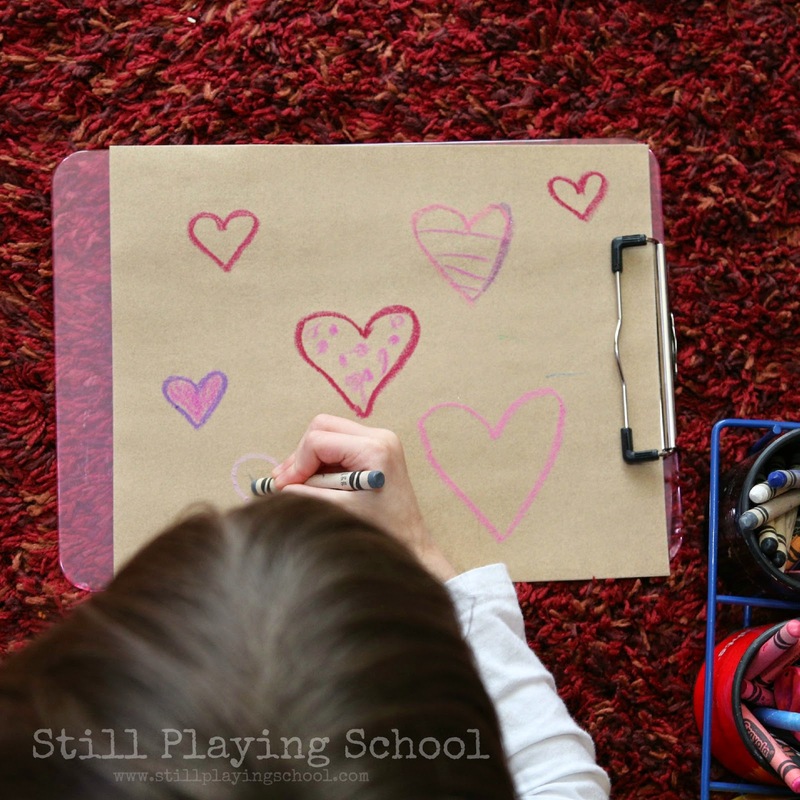 Last year we brought you 15 Valentine's Day Play Ideas for Kids and this year we're joining up again to celebrate one of our favorite holidays together again! 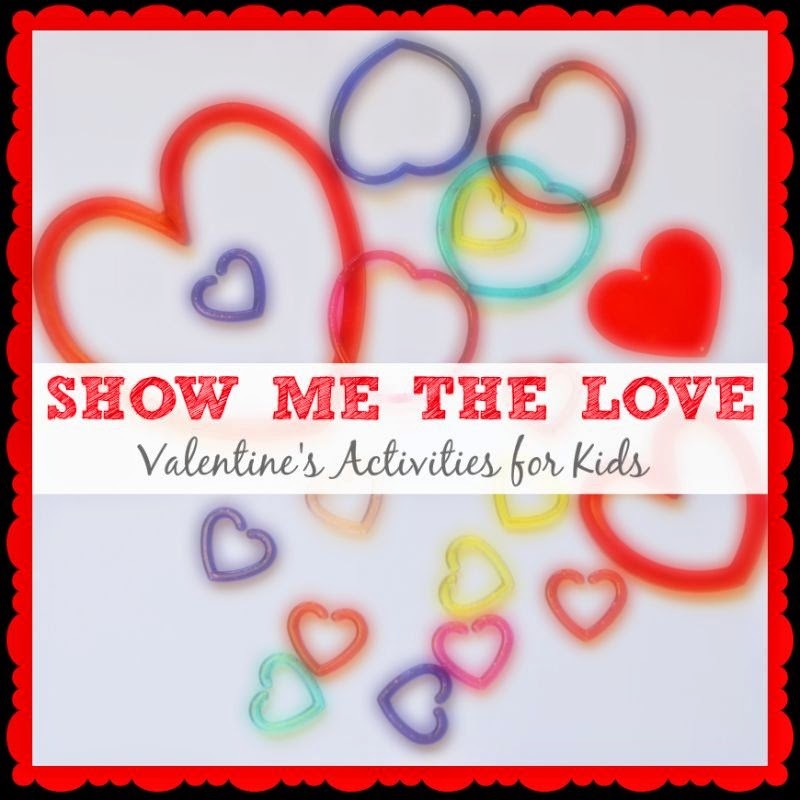 Be sure to check out my co-hosts' brilliant ideas for more Valentine's Day activities! Follow Still Playing School's board Valentine's Day on Pinterest.